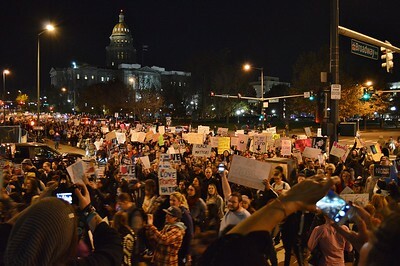 Opponents of President-elect Donald Trump, rallied at the Colorado State Capitol then march through downtown Denver for about 4 hrs occasionally blocking traffic. 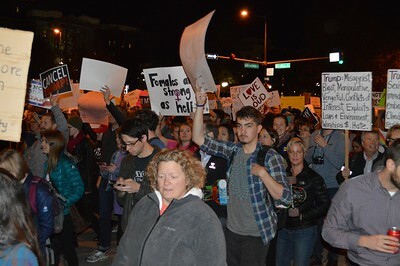 About 5,000 people attended. 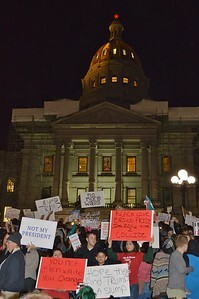 Long line of protesters at anti Donald Trump march, Colorado State Capitol dome in the background. 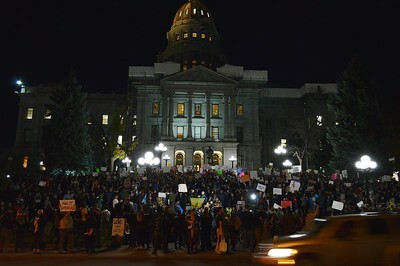 Large crowd of anti Donald trump protesters gather in front of the State Capitol building in Denver. 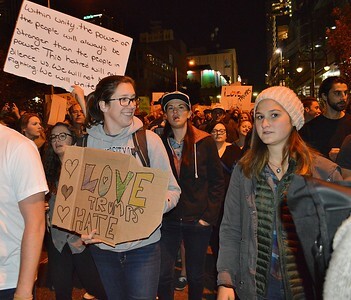 Line of protesters at the front of march against Donald Trump, some linking arms, some carrying large banner. 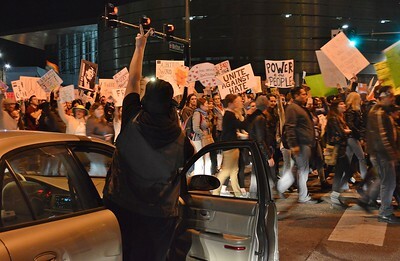 Woman gets out of car and raises hand in the air in the peace sign and line of anti Donald Trump protesters march by. 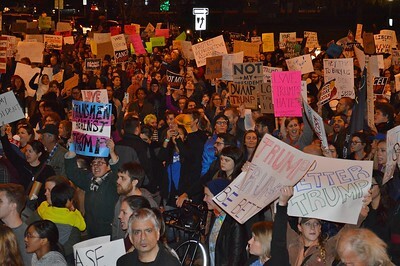 Large group of marchers with signs at anti Donald Trump protest march. 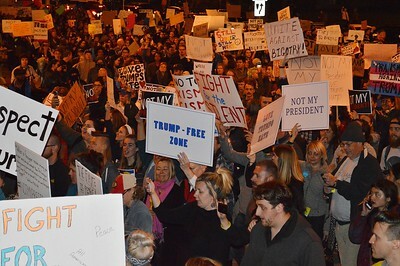 Large crowd of anti Donald Trump protesters holding signs in the air. 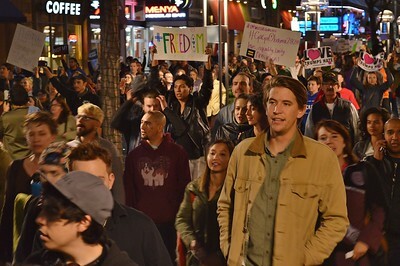 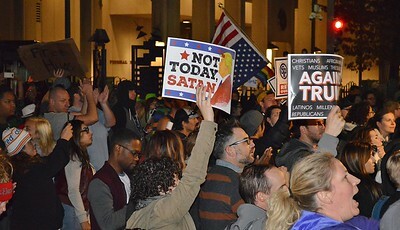 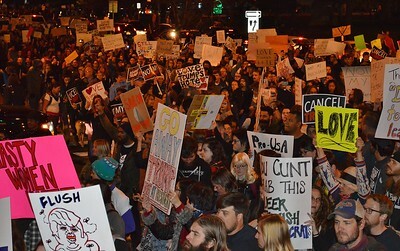 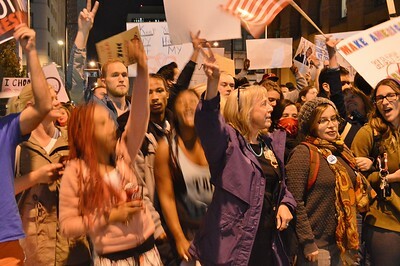 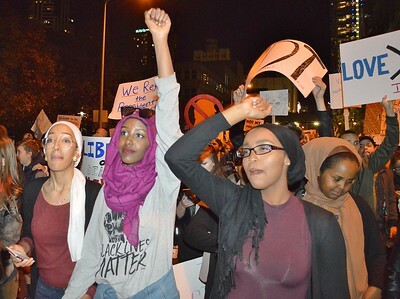 Anti Donald Trump protesters marching with signs held in the air. 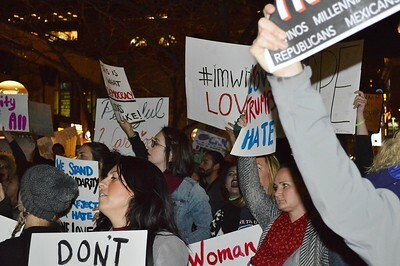 Group of women holding signs in the air at anti Donald Trump protest. 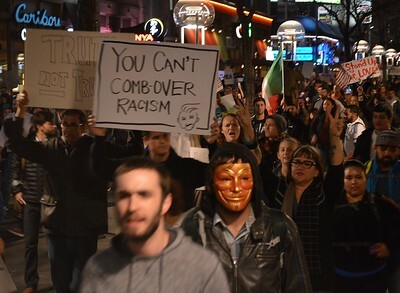 Long line of marchers at anti Donald Trump protest, including one wearing "anonymous/Guy Fawkes" mask. 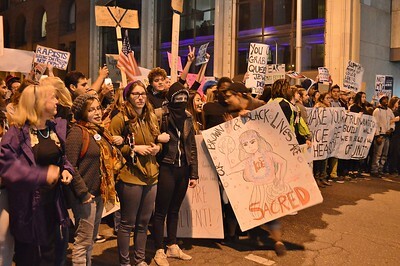 Anti Donald Trump protesters marching, some holding signs in the air. 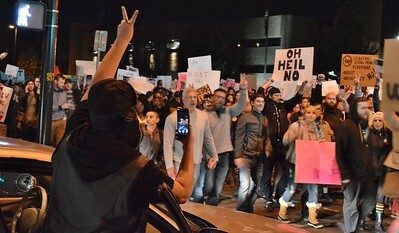 Anti Donald Trump protesters raising hands in the air in peace sign. 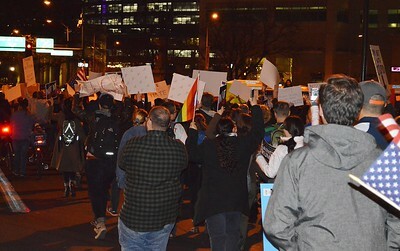 Anti Donald Trump protesters marching, holding siigns in the air. 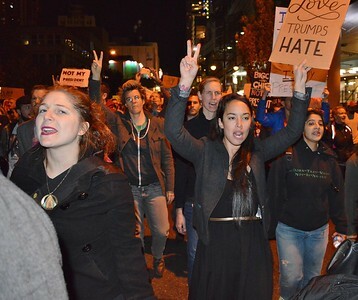 Young woman holding fist in the air at protest march against Donald Trump. 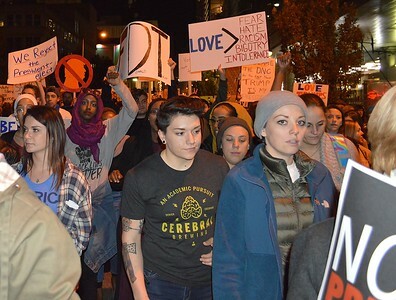 Two young women marching at anti Donald Trump protest. 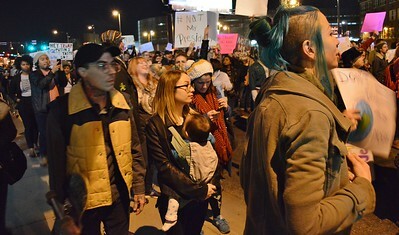 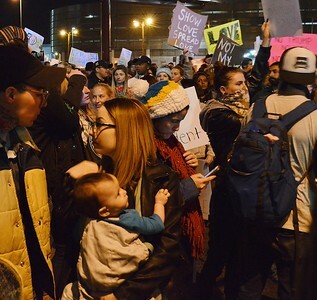 Young woman carries small baby while marching in an anti Donald Trump protest. 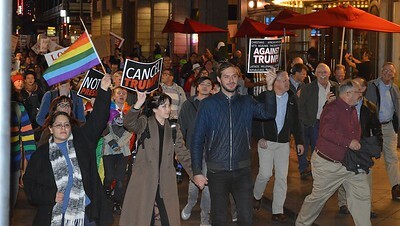 Woman raises LBGT rights flag in the air while marching in anti Donald Trump protest.